Thoughts on the lotto? Celts and Lakers going after PG and Butler? Or will they both wait till they are FA in 2018? Sam: I believe the Celtics will stick with the No. 1 pick in Fultz and the Lakers will pick Ball and then trade for Paul George. I’ve read speculation about the picks being traded for George or Butler, but the history of the NBA rarely, if ever, shows teams with top lottery picks, even in bad drafts, trading those picks. And this is a good draft, perhaps very good. The Celtics made clear in February, teams were saying, they wanted Fultz. And with Magic Johnson on board, there’s no way the Lakers pass on the publicity and entertainment value of a big, passing point guard. This is what I think the Lakers do: George has done almost everything but give the Pacers his Los Angeles post office box number. He has a year left before he can opt out and become a free agent. Because he can and has sent signals about wanting to go to the Lakers, his value is limited. You certainly cannot give up a lottery pick for a one-year rental; or much of anything else. Unless you are the Lakers, where he apparently wants to be. Sure, you can wait a season, but Magic isn’t that patient. And the Lakers have quite a run of losing seasons now. The Lakers also would love to dump one of those big contracts that resulted in a management change. The talk among general managers is you can pretty easily get D’Angelo Russell and Julius Randle. Then simple. You give the Pacers Luol Deng to match salary with George and then throw in two former lottery picks, one from the Big 10 and the other from nearby Kentucky, and the Pacers can sell that as a rebuild. You think Larry Bird was leaving if they weren’t going to rebuild? The Pacers maybe send someone useable back. Maybe Glenn Robinson. Maybe C.J. Miles if he doesn’t opt out. The Pacers need to get something and the Lakers are the only team that can afford to give much. With Butler, look, if you have back to back .500 type seasons there are no untouchables. The Bulls have to find out the value of everyone on the roster. But they’re likely not going to get offered one of the top picks in the draft, and if you’re not then there’s really no discussion to have. Butler cannot be a free agent for two years. He doesn’t seem to want to return home to Houston. Their situations are vastly different. Let's talk about denying championships. Between 1991 and 1998 the only way to win a championship was to be on Jordan's team or play for the Rockets while he was retired or not back to form. Between 2010 and 2016 (Lebrons's Finals run thus far), Dirk Nowitzki, Jason Kidd, Tim Duncan, Tony Parker, Manu Ginobili, Kawhi Leonard, Steph Curry, Klay Thompson, etc. all won championships. The examples they gave for Lebron (denying championships to) were Paul George and Carmelo Anthony. Am I just romanticizing the Bulls 90s run? Sam: It’s often said you can be born at the wrong time as far as ultimate success. Patrick Ewing was good enough to be on a championship team. So was Charles Barkley, Karl Malone, John Stockton. They just weren’t. To me it doesn’t diminish them in the least as players. They were often unlucky, victims of management missteps or just losing to a better team. It happens. There’s this odd ethic that’s become popular these days—and leads to these constant and ludicrous zero sum calls that if you can’t win a title you should give up and start over—that if it doesn’t look like you can win a championship you are a loser. That’s the mentality of those who don’t understand sports. You compete, and only when you do you can succeed; it doesn’t mean you will. But unless you do, you cannot. The 2001 Pistons were a 32-win team with Ben Wallace and Jerry Stackhouse who made a trade for a comparable scorer and added a few veterans who were castoffs and were champions in three years without any top lottery picks or major free agents. The 2011 Mavs seemed on the way to nowhere special after a first round ouster in 2010 and then won a title. It doesn’t always last long and it may not happen. Sometimes, like with Jordan in the 90s, Magic’s and Kareem’s Lakers in the 80s, Russell’s Celtics in the 60s there someone just too good in the way. But there are times you can break through, tweaks you can make. It’s reasonable to strip it down and start again. That’s one method. Just not the only method. Competition for the sake of competition is a worthy exercise. And if you have enough competitors, sometimes you can surprise even yourself. Was it intentional by ZaZa? Kawhi says it wasn't, but was he wrong to say that? Sam: Is there a difference between something being dirty and a cheap shot? It seemed to me clearly an attempt by Pachulia to take out Leonard. Pachulia has a history of this sort of thing and should have been suspended. I remember Noah spraining his ankle in Game 3 of that 2012 series when Rose was hurt in Game 1. Thibodeau kept saying he was day to day when they knew he was out for the series and likely the playoffs even if the Bulls advanced. The Spurs may be doing the same thing so at least the Warriors still have to prepare for Leonard. I’d like to see with these sorts of things the provocateur to get some sort of penalty to match the victim. It wasn’t unlike Patrick Beverley taking out Russell Westbrook in the playoffs a few years back, though Beverley doesn’t have the same reputation as Pachulia. It was an unnecessary play with Westbrook going to call a timeout. Usually players just let it go; sort of the unwritten rule, like not shooting at the end with a lead. Though to drift off the subject a bit, I don’t like when teams commit 24-second violations and just give the ball back. That seems even more disrespectful and pathetic; like, we feel so badly for you we aren’t even going to try anymore. Even seeing it live you could see Pachulia close out and then slide again to get under Leonard after Leonard has just hurt his ankle. We used to call that getting Laimbeered. That was one of the tricks of the dirtiest player ever, the Pistons’ Bill Laimbeer, who often did try to end your career. The game, obviously, used to be much tougher with brutal physical play. Players like Tom Meschery, Clyde Lovelette, Jim Loscutoff, Rudy LaRusso would break your face with elbows. These were guys who went after Wilt. Not that it’s a great distinction, but they didn’t try to end your career, like taking you out of the air. The Spurs Bruce Bowen was the most egregious offender of getting his foot under you as you came down from a jump shot. So it’s perhaps a little bit of payback of sorts with the Spurs. But it became such a problem that the NBA made it a violation. It’s unfortunate that the play ruined the potential competitiveness of the series. I thought Houston would beat the Spurs because of the matchup. Like the Grizzlies beating the Spurs in the first round a few years back. Against the Warriors, Houston would have been out in four. They never beat the Warriors. So I was glad to see the Spurs get through in that respect in a playoffs with so many blowout games,. At least with the Spurs winning, you figured it might be a contest given the Spurs had ways to scheme against the Warriors and played them well during the season. With Leonard out, that’s obviously over with. Too bad the NBA didn’t send a harsher message that it isn’t appropriate to bring in your goon to change the arc of a series. My cousin tried to convince me that the Warriors were going to make "small-ball" a trend in the NBA. 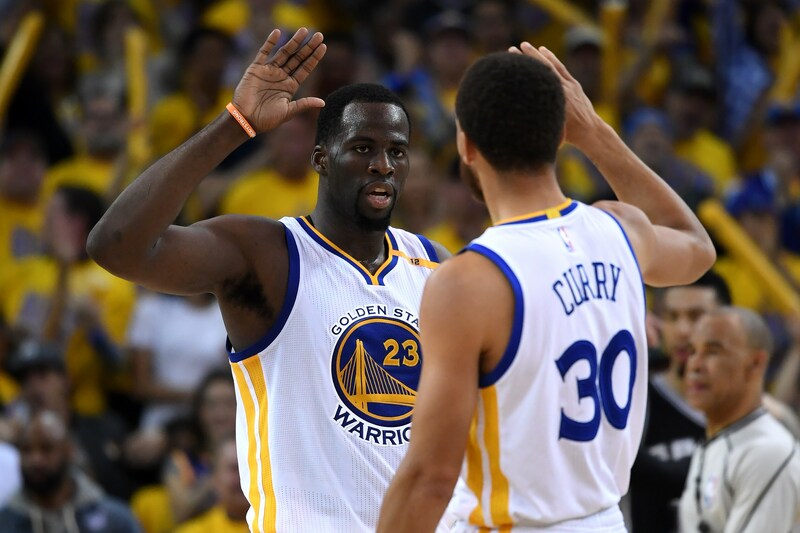 I said no - and the Warriors lost last season when Lebron's size was key to defending against the Warriors guards after they lost Drammond proved once again that size and athleticism are important. Shooting can only take you so far - because even great shooters get tired in a 7 game series and will miss shots - so you need the size and rebounding to give you more scoring opportunities and to defend against great players. This may be why Justin Patton looks like a mobile athlete - not just a tall guy that a coach walked up to in the hallway and said, "How about you join the basketball team?". This is the future of the NBA with Anthony Davis being one of the best future players in the league, and Giannis and Karl Anthony Towns developing as 7 footers, the future is a agile athlete like Justin who has 7ft length, can run fast breaks like the ShowTime Lakers, but also post up and give you Kevin McHale frontline scoring/rebounding. Sam: Patton could be available for the Bulls. Yes, in my first of maybe one more mock draft to come—it is silly, like with the NFL draft, that nothing happens and the mock drafts change every week—I speculated the small, athletic guard, Mitchell, for the Bulls. I got emails about the Bulls need being a point guard, a backup big man, shooting. Yes, there’s a lot of stuff. Young big men tend to be projects, and the NBA isn’t a patient place these days. The internet has made everyone impatient and anxious; too many voices with too little knowledge. I guess that is the ultimate in democracy. Of course, it also was the main fear of the nation’s founders, which is why they wouldn’t let them vote. Sorry, another digression. The Bulls’ recent history in the draft after the disaster with the kid big men in the early 2000s was to sacrifice some high ceiling athleticism for savvy, skills, ready to play. Kirk Hinrich, Ben Gordon, Luol Deng. It produced a fun, competitive group, but short of great. So then take a risk for great. The Bulls then passed on another skilled, savvy, ready to play guy in LaMarcus Aldridge and went for the potential greatness, Tyrus Thomas. Made sense given their roster; didn’t work. The Bulls then got a break with Derrick Rose, the No. 1 pick needing no decision. When Rose was hurt, they returned to the stable method supported by free agency. One more brief digression: Despite the supposed conventional wisdom that the Bulls don’t get free agents, they have been one of the most successful and attractive franchises for free agents with Ben Wallace, Carlos Boozer and Pau Gasol, all All-Stars. Just not great enough. Anyway, from the middle of the first round you rarely get a chance at high ceiling greatness. So Portis, Valentine, McDermott, Mirotic. The Bulls have done well overall in the draft outside the lottery from where they’ve selected given players like Butler and Gibson. Not that you have much chance for brilliance with No. 16. But do you take a chance on a project with a high ceiling, perhaps like Patton? Or address an immediate need with a risky athlete more ready like Mitchell? Assuming both are available, and both could be gone by No. 16. It’s not an easy decision. I’ll be able to tell you for sure next year after I see them in the NBA. If they did go with Mitchell like in your mock draft, where does Valentine fit in? I thought he would be the 2 guard of the future? Don’t see Valentine playing the 3 or in the point guard. I have a feeling the Bulls will go with another PF as they could lose Mirotic. Sam: Lots of uncertainty. It’s still about competition. You don’t hold places for guys; they have to earn it. Kirk Hinrich wasn’t offended when they picked Ben Gordon and Chris Duhon in the next draft. Just play better. Valentine has plenty of work to do to show what he can do, a guy who came as a playmaker who became a spot up shooter. I believe he felt he had to in order to get some playing time. But it’s not like this Bulls roster has too much talent. Butler can play different positions. He’s probably best at small forward, but the way the NBA is these days you get opportunities to play power forward at 6-7. My priority was a great athlete since athletes can find their place at different positions. But there’s plenty of help wanted notices. Being from Australia I don’t watch much college basketball (not that I overly enjoy it when I do – time out after time out!) so I am in no position to really comment on any draft prospects. 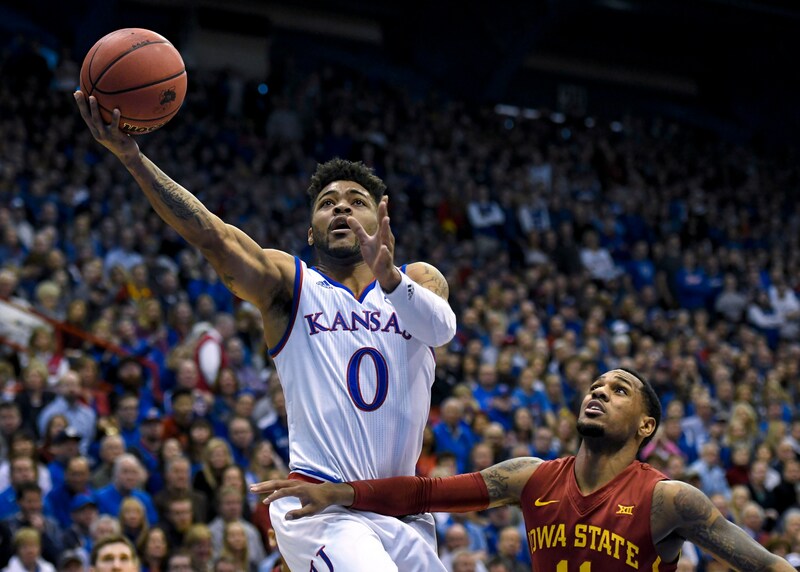 But I did manage to see a few Kansas games being shown in Australia and maybe it was just by chance, but Frank Mason III stood out like a sore thumb as the best player on the court each time I saw him play. He showed great composure and decision making, looked like he could push the ball in transition, penetrate in the half court and had a beautiful/confident shooting stroke. All draft projections have him going mid to late second round – I am assuming that this is mostly due to his size? I wonder, as a four year senior from a winning program would he be on the Bulls radar as their possible second round pick as PG backup to Rondo assuming he is retained. Seems like he would be able to contribute straight away as an NBA player. Sam: I don’t watch much college basketball, either. So it’s not a continental thing. Overcoached, slow, poor fundamentally. Anyway, Mason also seems like a good prospect. After all, he was his conference player of the year. Perhaps Isaiah Thomas’ success will help smaller guys like Mason. Teams generally go for the so called high ceiling guys. Mason is close to 24 already and perhaps a bit under six foot. But he does look like an impressive player, tough, can shoot, ready to play. The Bulls have a high second round pick, but he sounds fine. I say sounds because I think you’ve seen him play more than I have. But the way the game is called now with so little contact allowed outside the lane, it would seem to enable smaller players who previously were rejected to have a more significant place. I know, what about Nate Robinson? I'm not sure Donovan Mitchell is the way to go bringing in an undersized two-guard while already having Denzel Valentine and point guards in Payne and Grant - both of whom come off the bench. In fact Luke Kennard would be the only shooting guard I would consider however I think #16 is probably too high to get him. It's interesting that you have Justin Jackson listed at #14. Mock drafts have him listed closer to #20 overall. Could he be someone for the Bulls to target as a two-guard/SF combo player? There is a lot of talk surrounding the Bulls getting a big man with the #16 overall selection - Allen, Patton, Collins, Leaf, Kuzma, Rabb, Giles, Idebayo. The two players in the second round that I think Chicago should target based on everything that I have read on them are Sindarius Thornwell and Ike Anigbogu. Do you think there is a possibility that the Bulls may look to trade up or trade down in the first round or trade out of the draft all together? Sam: As my mother used to say whenever I offered an opinion, “Another county heard from.” I think it was an allusion from Shakespeare, though my mother often spoke Yiddish and I couldn’t find the Yiddish version of Shakespeare. I didn’t get to speak much at home. I saved it up. True, the rap on Mitchell is size, some scouts saying he has to play point guard at that size. Though I always say that’s where the NBA (and most sports) teams go wrong, especially with these stupid races and jumping tests they have in confusing the ability to make plays with the ability to pass a test. Jackson could also slip down there to the Bulls and is one of those more ready to play now guys, but seemingly pretty good. He’d be worth the pick. You can also make the case for athletic size given that Lopez is more a 25-minute player with athletic limitations. The Bulls are always looking to trade up; so is everybody, which is why it doesn’t happen very often, especially for teams with just one first round pick. We should grab Carmelo for the 16th pick and something else. I don't know if we'd get a ring. But it would definitely be more fun to watch. He can score. Sam: I don’t think Paxson owes Phil that much. 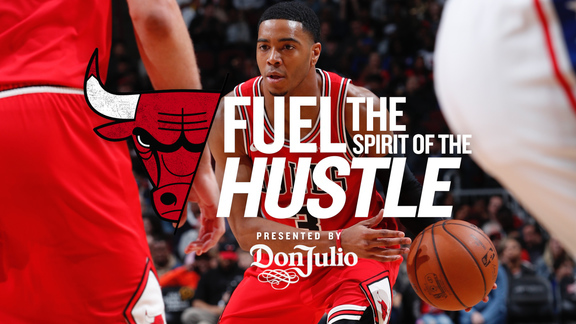 If you're the Bulls, do you want to pay Butler the supermax when he's pushing thirty? The difference between the max and supermax is significant as far as salary cap, and Butler is a guy who gets nicked up every year and is not a great shooter. Sam: I don’t get into individual contracts and personal value much, though yes, teams have to be careful about what they pay. After all, the more you pay one guy the less you not only have for everyone else, but it also severely limits you in free agency. You could see how Derrick Rose’s contract crippled the Bulls. No fault of the Bulls or Rose, and the community was demanding Rose get his max extension with his MVP year. Then he got hurt, but that money never leaves your books. So you better make the right decision and be lucky. The Bulls are at least a year away from having to make any contract decision on Butler, who has an opt out in the summer of 2019 when he’ll be 30. Plus to qualify for that extra large contract, I think he’ll need another all-NBA team, which isn’t easy. Still, here’s the thing about that contract. Just because someone is eligible you don’t have to pay that much. The Spurs basically never do and their guys always resign in the interests of putting together a better team. Dwyane Wade did that with Miami. At least for a few years. If you take all the money, then there’s not much left to have a team. And if no other team can offer the guy that much, why do you have to pay that much? After all, if he leaves no one else can pay him that. Plus, those years at the end of the contract can be a death sentence for your team. Ask the Knicks about Carmelo. I doubt many players are going to get that sort of contract other than the ultimate superstar guys who basically are the difference between winning a championship and maybe a first round ouster. If you invest that kind of money in a player who cannot assure you a 60-win season, you basically are crippling your franchise for years to come. There is a basic economic principle that often players, fans and even some team owners seem not to understand. You aren’t worth what someone else makes. You are only worth what someone is willing to pay you. Some guys may just have to live on $25 million a year. And put up with the disrespect that such a salary suggests.